These sliding doors have different dimensions to wall mounted sliding doors. 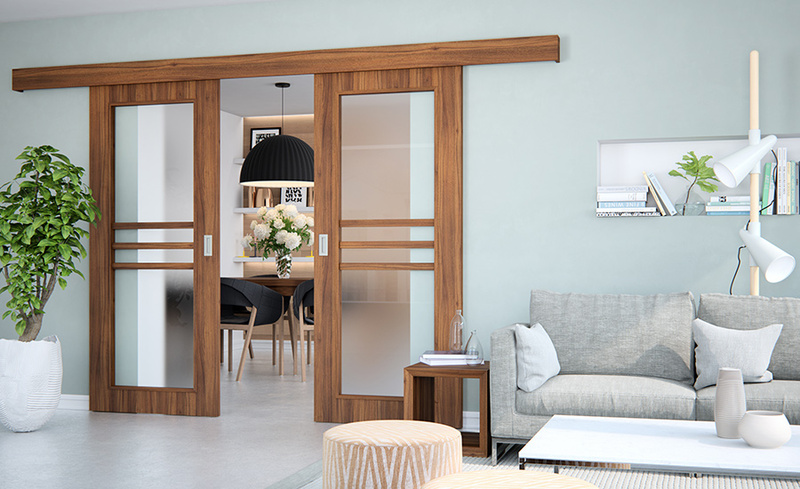 The door width will be the nominal door dimension + 5 cm (for example, the width of a 60/197 hollow-wall mounted sliding door will be 65 cm) and the height will be 198.5 cm. It is possible to use a classic fully panelled door and a SIMA door with a hollow wall structure in a 100 mm thick gypsum plasterboard wall.